In a medium pot over medium-high heat, warm the coconut oil until melted. Add the onion, bell pepper, carrot, and a pinch of salt and cook, stirring occasionally, until the vegetables are soft, 4 to 6 minutes. Add the garlic and curry powder and cook until fragrant, about 1 minute. Then stir in the tomatoes and a pinch of salt. Cook, stirring, for another minute. Add the broth and simmer until the tomatoes are cooked, 10 to 15 minutes. Remove from the heat and blend until smooth with an immersion blender or regular blender. Return to the stove over medium heat. Stir in the coconut milk and a squeeze of lime and cook for another minute. Season with salt and pepper to taste. 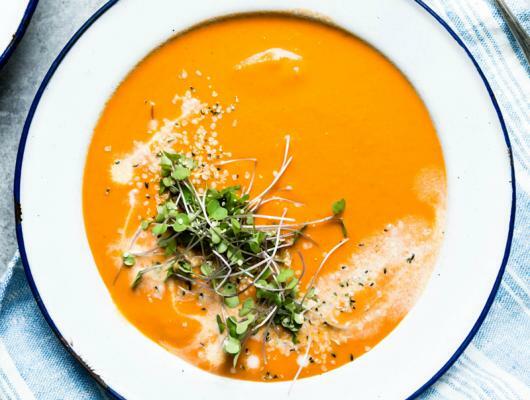 Garnish with microgreens and hemp seeds, if using. 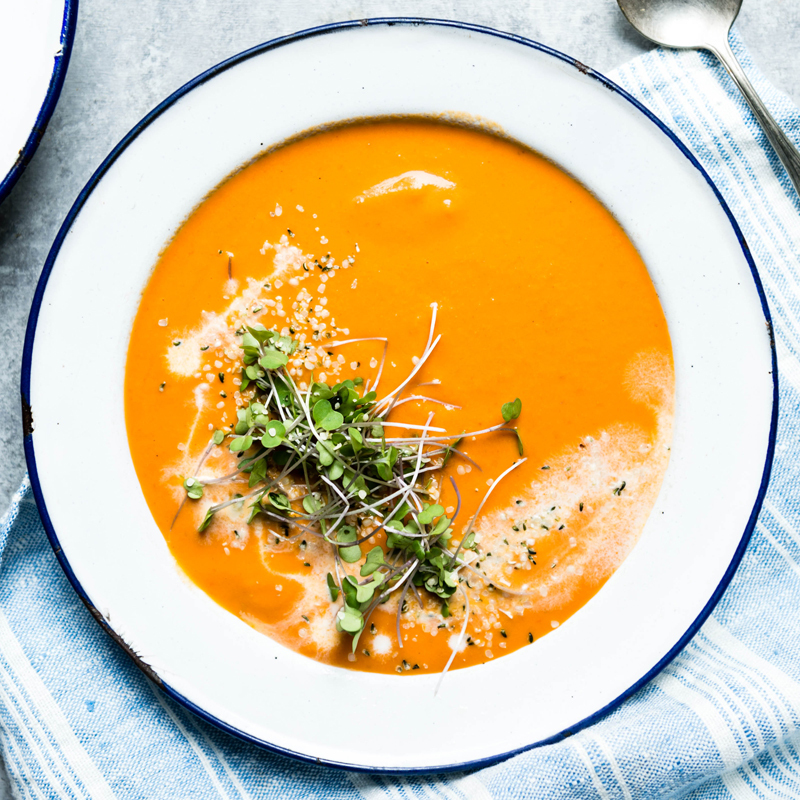 Coconut milk, bone broth, and a hint of turmeric-tinted curry make this creamy tomato soup a healthier, dairy-free version of the classic that's sure to become one of your new favorite homemade and healthy tomato soup recipes.